Some books to get people started on Manchu history study, Manchu archery research, or antique arms connoisseurship. Arranged by subject. Selby, Stephen, Chinese Archery, Hong Kong University Press; 2000. 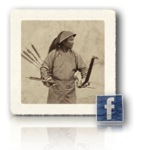 Elliot, Mark C, THE MANCHU WAY: The Eight Banners and Ethnic Identity in Late Imperial China. Stanford University Press; 2001. Crossley, Pamela Kyle, THE MANCHUS. Blackwell Publishing; 1997. Crossley, Pamela Kyle, ORPHAN WARRIORS; Three Manchu Generations and the End of the Qing World. Princeton University Press; 1991. Crossley, Pamela Kyle, A Translucent Mirror: History and Identity in Qing Imperial Ideology, University of California Press, 2002. 故宫博物院藏文物珍品全集 56：请宫武备 (Gugong Bowuyuan Cang Wenwu Zhenpin Quanji 56: Qing gong wu bei) or The Complete Collection of Treasures of the Palace Museum, Beijing 56: Armaments and Military Provisions. Published in Hong Kong, 2008. Cosmo, Nicola Di, The Diary of a Manchu Soldier in Seventeenth-Century China: My Service in the Army, by Dzengseo, Taylor & Francis, 2009. Li Gertraude Roth, Manchu: A textbook for reading documents, University of Hawaii Press, 2000. 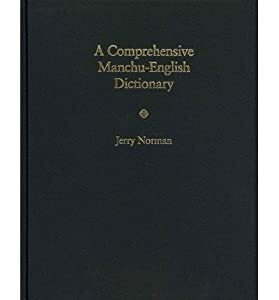 Norman Jerry, A comprehensive Manchu-English Dictionary (Harvard-Yenching Institute Monograph Series), Harvard University Asia Center, 2013.